Click “Postscript” and then click on the newest driver to download it to your computer. Click [Default]. 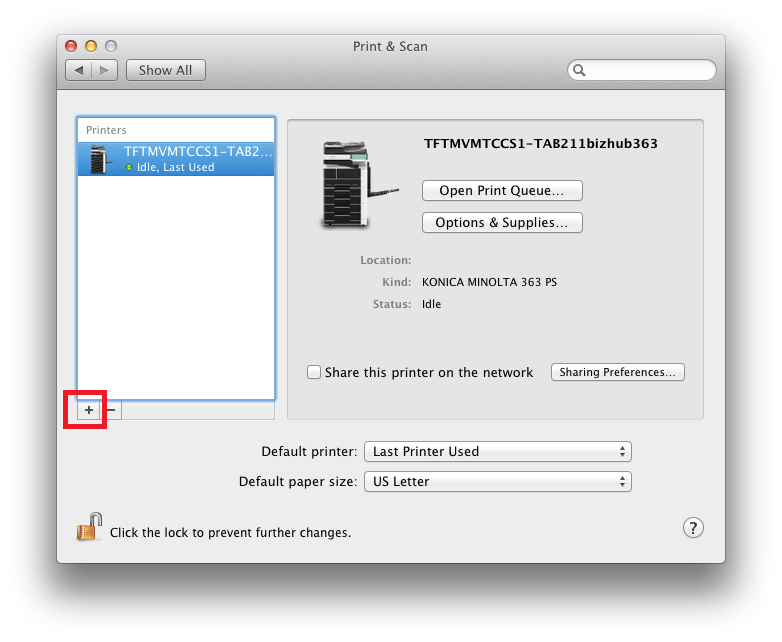 If no printers are detected, restart this machine. 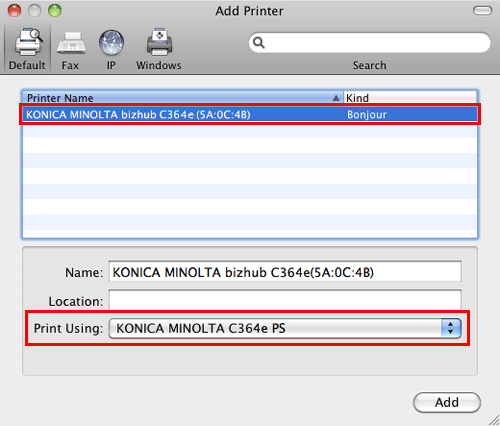 From the [Printer Name] list, select the desired printer for a Bonjour connection. 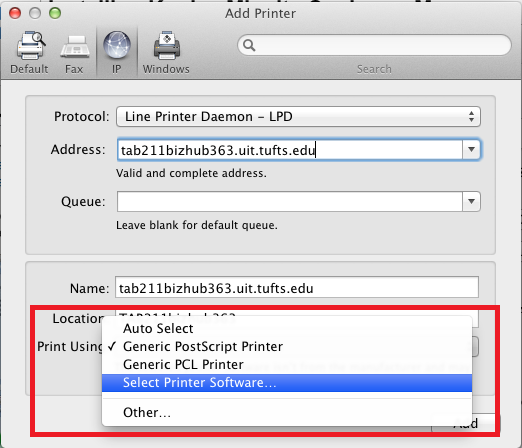 The printer driver for the selected printer is displayed in [Print Using:]. 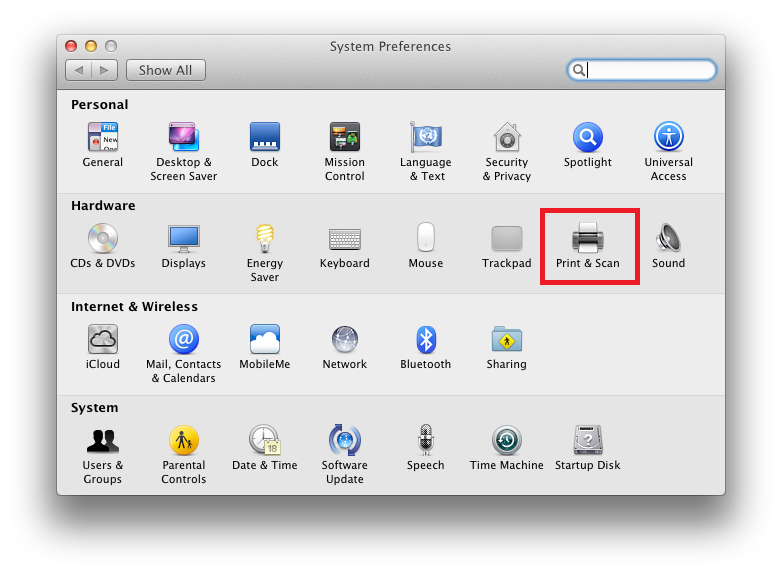 When the printer driver is displayed, click Add. 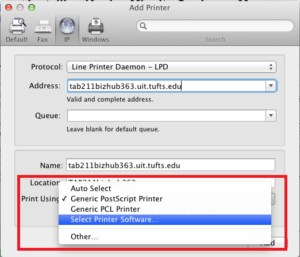 When the printer driver is not correctly displayed, select [Select Printer Software…] from [Print Using:], then click the driver of the desired printer from the list that is displayed in another window. Then click Add.